So I am going to start a new heading for short reviews on things we here at Aeither.net love (movies, music, board games, books, etc). Final Thoughts will basically be the last paragraph of a full review. Think of this of it as an alternate version of TL;DR. This first one will be about a game I played on Monday called, City of Horror. 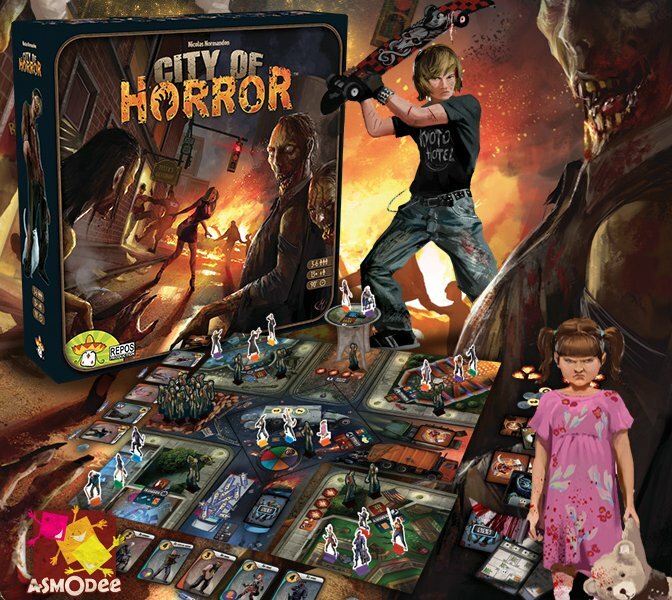 …After a game of City of Horror you feel like you have lived through the beginning of a zombie apocalypse. People have looted every useful item around you. People have ran out of the safety of a building into extreme danger. People have even been sacrificed to hordes of zombies to save your own life. The political, emotional, and mental tensions are all here. Decisions are hard and meaningful. Alliances are made quickly and broken just as fast. This game is everything I like about Cosmic Encounter but takes a fraction of the time. If your groups can keep the game at the table this is an excellent game for your collection.